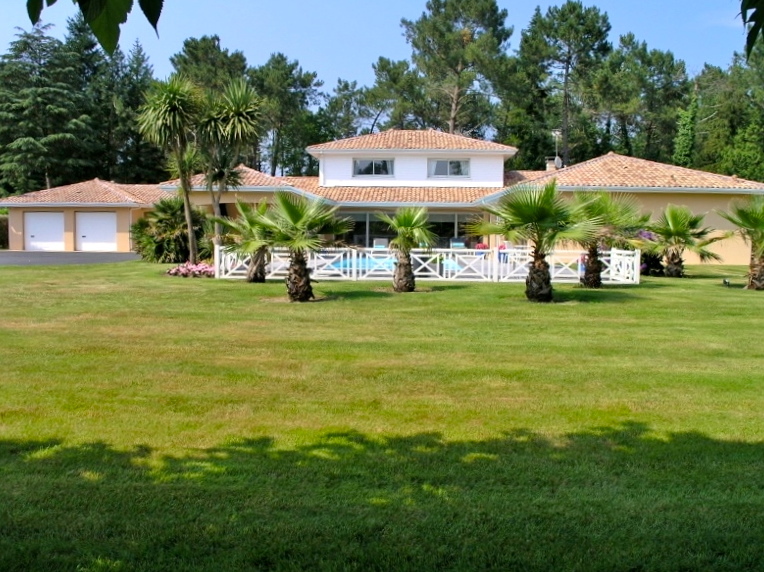 Beautiful countryside, less than 10mn away from Hossegor, superb and perfectly kept-up property comprising one main villa offering 300 sq. m. of living space, 100 sq.m. 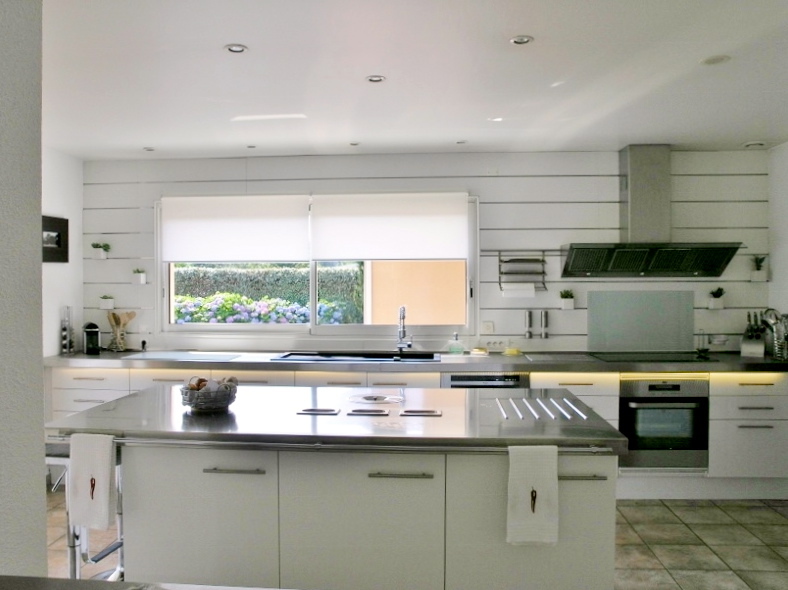 of terraces and decks, heated swimming pool, annexes, storage rooms and fitness space. Garage for two large cars, with integrated storage and cupboards. This luxury property is South facing, and its many glass openings constantly filter natural light. It benefits from hi-tech insulation, revertible A/C, and excellent kitchen and bathroom appliances. 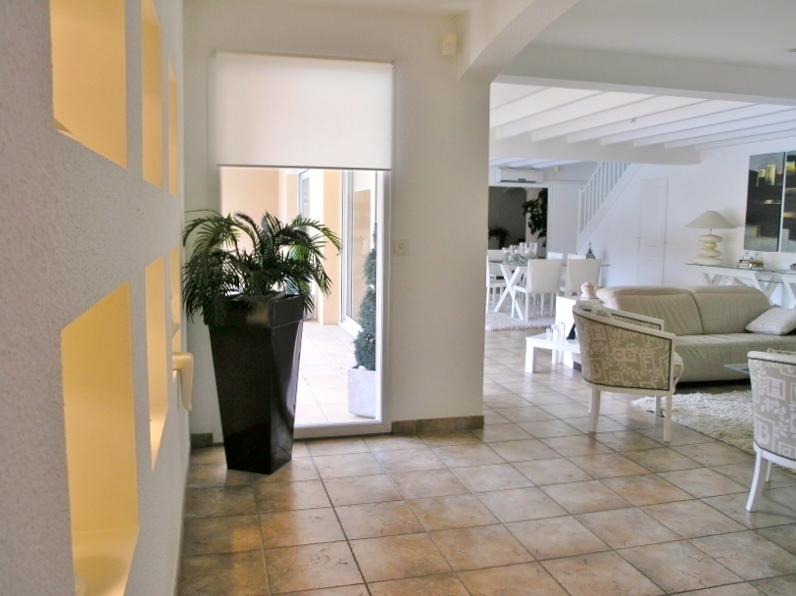 spacious entrance hall with pool table, guest cloakroom and coat closet, beautiful 100sq. m. living and dining room with integrated fireplace, study or guest bedroom, american style kitchen including top of the range stainless steel appliances, opening onto an outdoor dining space with plancha and barbecue, master suite with its on-suite and good size walk-in wardrobe, further bedroom with shower room and w.c.
two guest bedrooms, one full bath and separate w.c., walk-in wardrobe and cleverly integrated sauna cabin. The swimming pool and its deck offer great perspectives onto the 2,500 sq. m. landscaped and fenced garden. Spa in the terrace and automatic watering . Further amenities include electric gates, alarm system, intercom and private access lane. Can be sold fully furnished. 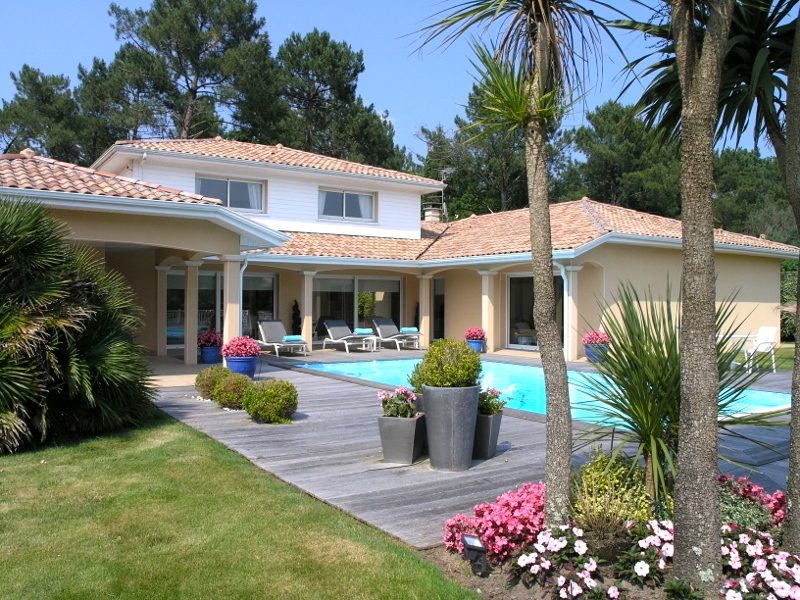 Privacy and relaxation are the key words for this exceptional villa located only a few kilometres from the world-famous beaches of Hossegor and Biarritz. Easy access to airports and train stations. Sales mandate granted to Lifestyle Estates International Corporation Ltd., London St. James's & Paris 6ème.